On weekdays, you might not have a lot of time to make a healthy, filling breakfast. The trouble is, grabbing a bowl of cereal or a pastry is not the answer! All that sugar means you’ll be hungry again in a couple of hours, reaching for another sugary snack to see you through to lunch. During the week, I usually grab a smoothie for my breakfast. High in protein, but low in calories, they’re ready in minutes and ideal for when I’m in a hurry. However, on weekends, I prefer something a little different and don’t mind spending some extra time cooking something good to eat. These breakfast wraps are really easy to make and tasty too. After making these one day, I got a phone call just as I was about to eat; it was my friend Diogo who lives in Portugal. Rather than ask him to call me back, we chatted for 30 minutes or so, mostly about healthy food and Days to Fitness. Of course, once we were finished talking, my breakfast was cold. Normally, I’d reheat my breakfast wraps but instead, I ate them as they were. And, do you know what? They still tasted great! Now, because of this, I sometimes make this recipe the night before and take my wraps to work with me wrapped in aluminum foil. It turns out that this recipe is not just good for weekends! 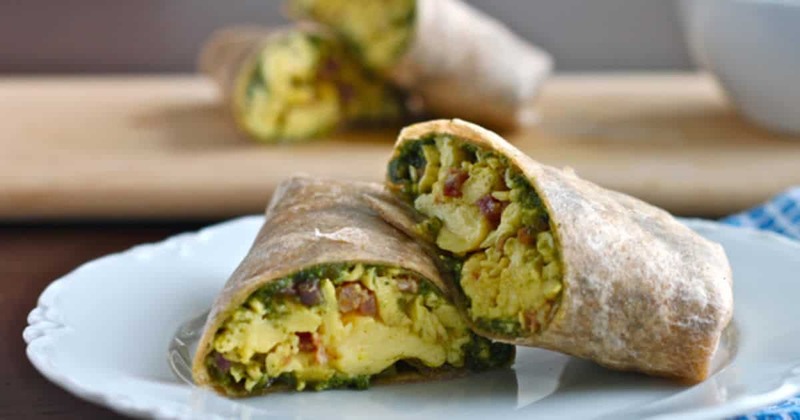 These egg pesto breakfast wraps don’t take long to make and will keep you feeling full until lunch. Why not make a few on Sunday to take to work with you next week. They taste just as good cold as they do warm, and you can always reheat them. 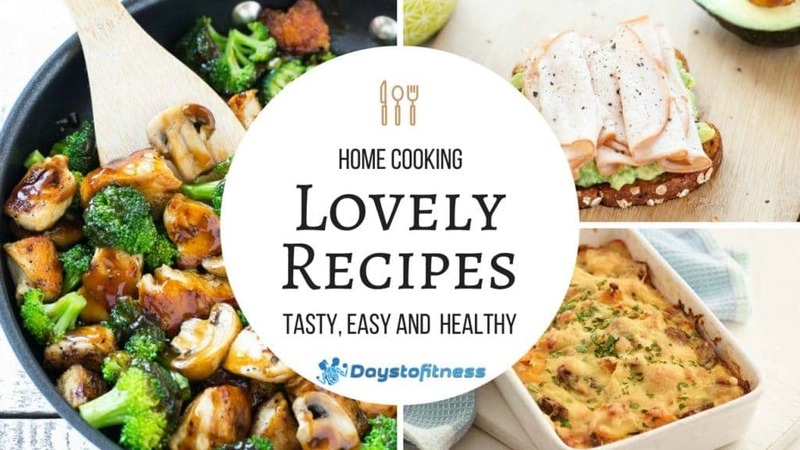 More than 200 recipes and 2 new recipes every Friday here. Different ideas for different tastes, choices and occasions. Find all my recipes here.